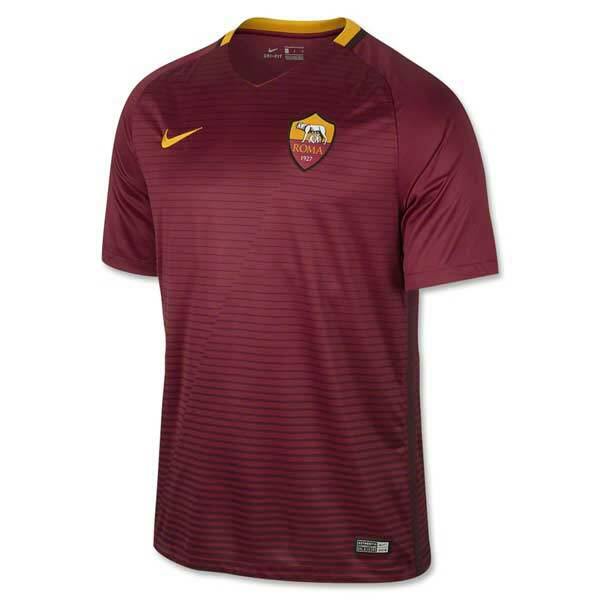 AS Roma - Nicknamed the giallorossi, AS Roma (Associazione Sportiva Roma) is one of the top clubs in Italian Football, and beloved worldwide. 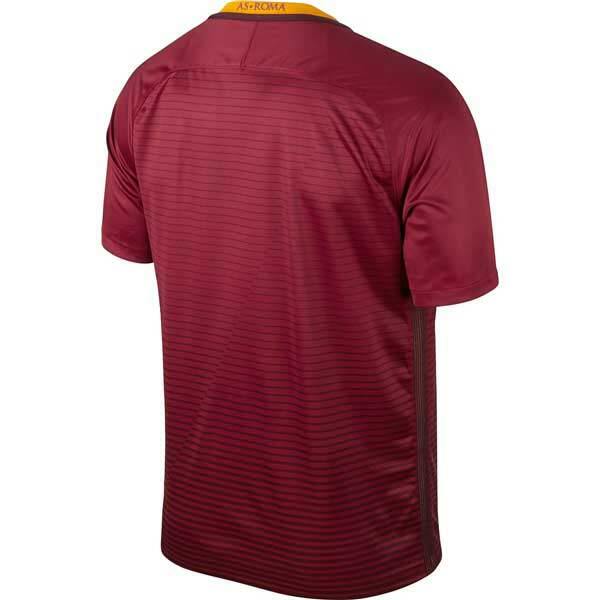 Get your AS Roma soccer gear including the AS Roma Football Kit at WorldSoccerShop in the UK. 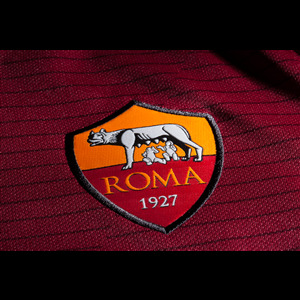 2017 marks the 90th anniversary of AS Roma. Nike presents classic designs to honor the occasion. The red home jersey has stylish pinstripes in darker red crossing the body. The sleeves and shoulders are solid. 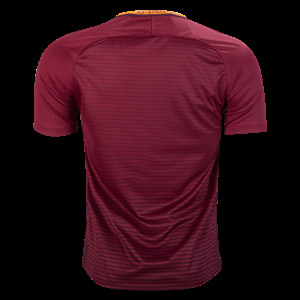 Orange highlights the logos and the collar, where "AS ROMA" is printed. Dri-FIT technology. 100% polyester.